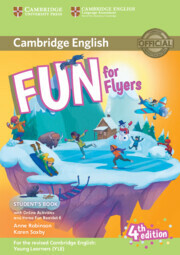 Fun for Flyers Student's Book provides full-colour preparation for Cambridge English: Flyers. Fun activities balanced with exam-style questions practise all the areas of the syllabus in a communicative way and support young learners in the areas they find most difficult. 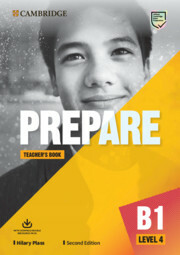 Listening material to accompany the Student's Book is available online for download or as a separate Audio CD. Grammar and vocabulary activities get students practising online in their own time via an access code in the book. The Home Fun Booklet allows students to practice vocabulary at home.